As a follow on from yesterday's post, the other thing that Dawkins felt to address was the fact that he had received a number of communications along the lines of, as one woman put it, a desire for unreading the book. Reading the book had left some readers suffering from bouts of depression, troubled by its seemingly cold, bleak message, empty and without purpose. I'm not surprised some readers had this response reading a book describing scientific understanding of complex but everyday processes. Science is about cold hard facts no mater how ugly, distasteful and unpalatable they may be. Science seeks to uncover the "what" and the "how" of the world around us. It has no tools to discern the "why". 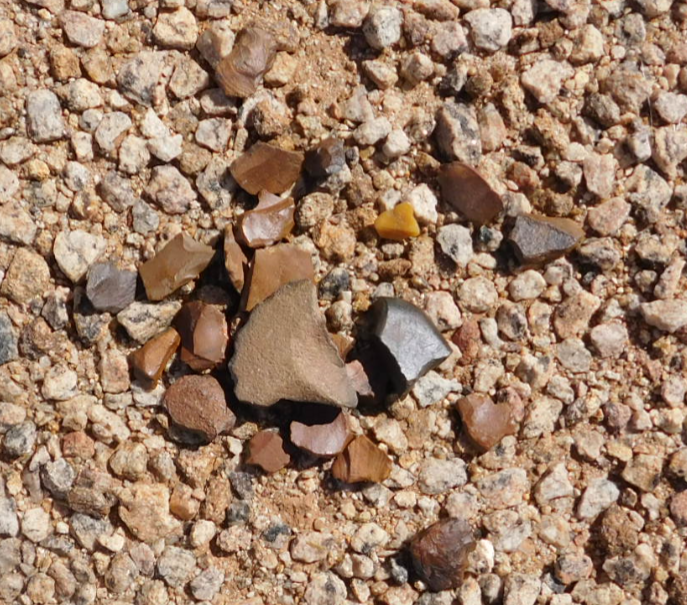 Lets take something as a simple as a scatter of archaeological artifacts. There simply is not sufficient physical evidence to determine these things and scientific processes evaluate the available evidence. It is therefore not unusual to expect a scientific book to be "cold and bleak". Facts generally are exactly that. But, we are not just simply factual beings, we are not robots simply executing a pre-set program. We are emotional, we have feelings, we are more than just a collection of brain cells acquiring facts, we are in turn shaped by these facts and choose to apply them in various ways. We seek purpose and meaning in our interactions with the physical world. Looking to the scientific method to find the purpose and meaning in our lives is likely to be a fruitless exercise. We need to strike a balance by searching for purpose and meaning elsewhere. There are two sides to the brain for a reason and we should strive to find our balance. Understanding how something is done should not leave us less inquisitive about why it was done and for what purpose. Without purpose we may as well be silicon based robots. There are things in this life that leave no physical evidence, these cannot therefore be evaluated using purely physical methods. We need to develop other methodologies and find what works for us. Well said. I am thankful for the many scientific advances that have improved countless lives. But science, in itself, is only a tool to help us to discover the purpose and meaning in our lives and empower us to bless the lives of others more efficiently. Living a balanced life is about integrating those components of your life that are truly important to you and realizing that sometimes you need to make choices about what has to come first. Making choices is powerful and allows you to live a balanced life that's aligned with what you value. By choosing what comes first, sometimes there are sacrifices. But living a balanced life doesn't require you to give 100 percent of yourself 100 percent of the time. There will be times when personal/family life and work collide but by knowing what's most important to you and making choices based on this criterion, you'll be better able to balance your decisions and feel whole. Great..Balance is the "infinity from within"
Doing the work you love is the first step to finding balance. A few things are left unanswered.... I was tuning in to a verbal confrontation about how science and industrialisation is murdering our condition. The thought is that when burning motors were created,their main role was to make life simpler and not cause a dangerous atmospheric devation . Also, now it's upto to us to know how to clean our condition and still oblige vital poisons. What if we find purpose in something that is more of a lie than it is close to reality. The search and dilemma posed by life, and the constant eager mind diving deeper with scienece to uncover these things, is what makes our life exciting! Great information, thanks for your informative post sharing us. I think apart from us developing methods for purpose and meaning, we should also find ways to keep our findings for the coming generations not to ask the same questions. As I saw yesterday, science obviously cannot answer all the questions because we as humans do not follow a set of codes or programmed instructions..we have flaws, high and low moments and the likes of them. Humans cant be blamed for seeing a scientific book of facts as "bleak" because like everything in life. Its easy to know stuff but a lot hard to do what you know. Thats why we search for purpose and motivation everyday. Some find it in God, others find it in people. Some even find it in science. But thats just what makes us human- our ever seemingly complicated natures. Like you said sir, the best way is to create a balance. Well not everyone is able to do this. But I think we should all try. Cheers!! And instead of depending on science we have to find out the inner balance and the purpose of our lives because each of us has a specific purpose for their lives,so we need to focus on that,so we have to keep searching instead of becoming totally dependent on a single method. Wow inspirational, and full off spirite post! I completely agree you should not wonder about your purpose in this life, you should try to be of purpose and more deterministic to your thoughts, then along the way you might find your purpose. Science just started to scratch a surface of the energy flows in the universe. So nothing is set in stone. Our brains are too slow (at least for now) to comprehend speed of those exchanges so we tend to stick to our left brain logic. There is no logic in universal truth, the moment we realize that even our bodies are 99% empty space and the rest of it is pure energy we strive to fill the void in knowledge with something else. Nice post thanks for sharing this with us I upvote it. What passes for science these days isn't really science any way for instance nobody has ever seen any animal evolve into another or any species go beyond the DNA barrier. Yet the people who promote this garbage are called scientist. Anybody that believes that the DNA molecule just popped out the primordial soup one day is a moron. You seem to have a flawed idea of what evolution or Natural Selection is. Could you explain what you mean by "go beyond the DNA barrier"? interesting ... good post, greetings bro! This artifacts could hold the keys to our "true" history and where we came from. Amazing Post Create Many $..
Its a good write up. Science has really not answer the question WHY .that is because man its self is dynamic and because purpose can't be determined only if not fully discovered. It either through circumstances or people are born into it and this science wont be able to talk about because humanity in genral haven't been fully studied this is why the world in general cant be in a state of utopia because is an issue science cant really phantom. Thanks for this enlightenment on science and much. Is being observed that Wisdom is organized life. Science is a way of thinking much more than it is a body of knowledge. Science without religion is lame, religion without science is blind. Our scientific power has outrun our spiritual power. Congratulations @gavvet, this post is the second most rewarded post (based on pending payouts) in the last 12 hours written by a Superhero or Legend account holder (accounts hold greater than 100 Mega Vests). The total number of posts by Superhero and Legend account holders during this period was 36 and the total pending payments to posts in these categories was $4941.37. To see the full list of highest paid posts across all accounts categories, click here. learning science is how scientist to thankful and find out every creation was created in a perfect, even there are things in our life leave no physical evidence. Great post but I would have to disagree on one point. Science is not just 'cold and hard', it is about seeking an understanding and the truth of a matter. For the woman who wishes to 'unread' the book, she simply needs to keep searching and answers will be found, they may not be the ones she desired but true understanding of anything is its own reward. la ciencia trabaja en beneficio de todos , grandes avances sobre todo para enfermedades obteniendo curas que jamas pensamos tener. As I said in your first post regarding this, physical evidence or facts does not exactly stick with humans as instinct or what they personally feel is right. Good one. The facts are spot on. Well said. A lot of people have refused to unlearn what has previously be learned in other to re-learn. They have decided to lock shop and throw away the key of the side of their brain that does that. As far as I am concerned, it is kind of hypocritical to accept some scientific findings and reject others without providing counter-evidences. Very good info. Balance is brilliant! In Aceh, Sumatrera, Indonesia. also very much we find artifacts. We found many pottery relics of the kingdom of Pasai Ocean that ever triumphed in the mid-12th century AD. thank you for sharing knowledge.